PLEASE READ FIRST: Please make sure you are aware of your CURRENT RRP CERTIFICATION EXPIRATION DATE when taking this refresher course. 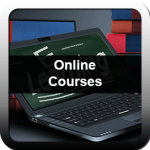 You must pass this online course before your certification expires. NATEC is not responsible for student's expired certification prior to passing/taking this online training. Please note, class login information is emailed during regular business hours Monday-Friday only. After purchase, please allow up to 1 business day to receive login information. Hands-On (in-person) Training is still required for every other refresher. NATEC currently provides hands on training at our California training offices: Anaheim, Oakland & Sacramento. The EPA announced that as of February 10, 2016, the Lead Renovation, Repair & Paint Refresher Course will no longer require a hands on component and can be completed entirely online. NATEC is happy to announce that we are now offering the Lead RRP Refresher completely online NATIONWIDE, no in person training required! "Under the final rule Renovators can take a refresher course without hands-on training every other time they get certified." The RRP Refresher without the hands on can now be taken completely online. If you take the online RRP Refresher, you will be certified for 3 years, students who take the in person RRP refresher (with hands-on) will be certified for 5 years. This new regulatory change gives renovators easier access to training opportunities and allows for more flexibility with busy work schedules. Don't waste any time, sign up for your Online Lead RRP Refresher today! The audience for this Lead Renovation, Repair and Painting Refresher (RRP-R), without Hands-On, course includes renovators, remodelers, painters, maintenance personnel, and any other workers removing or modifying painted surfaces. This Online Lead Renovation, Repair and Painting (RRP) Refresher is approved by EPA. Natec International, Inc.'s Online RRP-R training course concentrates on procedures for minimizing lead dust generation and soil contamination during maintenance/ renovation/ remodeling activities as defined by the U.S. Environmental Protection Agency (EPA) and the U.S. Department of Housing and Urban Development (HUD). If these procedures are correctly implemented, the risk of lead exposure to employees, children, residents and families of employees can be minimized. Recommended Internet Browsers to Use: Internet Explorer or Chrome on Windows Computer. At the end of online course lessons, you will be required to take the Final Exam. You must achieve a score of 80% or better to be marked as complete. You have 2 attempts to pass the Final Exam. The entirety of the Lead Renovation, Repair and Painting Refresher (RRP-R), without Hands-On Program, which includes the Online RRP-R Training and Final Assessment Testd; must be completed within 30 days of your enrollment date. In order to be certified, you must PASS this course with 80% score or higher. Upon successful passing the Final Assessment Test, you will receive an email confirmation and certificate of completion. Please email your scanned copy of your previous certification to training@natecintl.com in order to receive a new certification. Username and Password to the Online Training will be sent after 1 business day of purchase of the training. If student's prior training was initial: Student expires 5 years from date of expiration and must take refresher training prior to the 5 year mark. If student's prior training was a refresher with hands-on: Student expires 5 years from date of expiration and must take refresher training prior to the 5 year mark. If student's prior training was a refresher without hands-on: Student expires 3 years from date of expiration and must take refresher training prior to the 3 year mark. If opting to take a refresher without training, the EPA allows student to take this option every other certification period. Any student who does not take the refresher training within the time limits set by the EPA will be required to take the initial training. Students who do not provide proof of prior RRP certification from their previous Training Provider shall NOT receive a new certification. It is the student’s responsibility to comply with the EPA’s certificate expiration requirements. Expired training certificates will NOT be accepted as proof of prior certification. EPA Firm Certifications will NOT be accepted as proof of prior training. If you are unsure about the status of your current certificate, NATEC recommends verifying your eligibility for RRP Recertification prior to registering by contacting the NATEC Training Department for assistance: 1-(800) 969-3228.